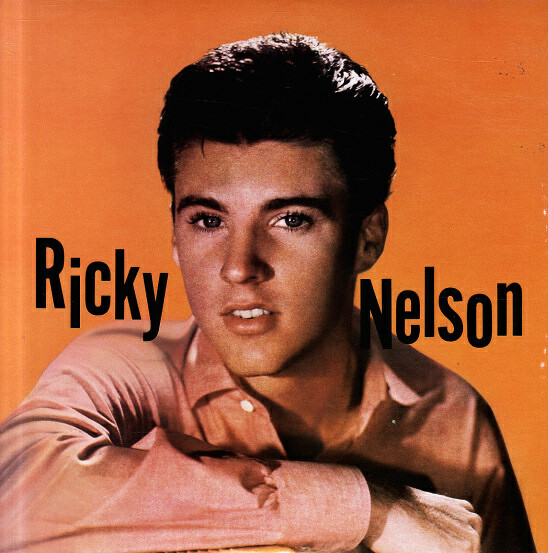 It was October 15, 1971, and former teenage idol Rick Nelson was one of the performers at an oldies concert in New York’s Madison Square Garden. Other acts included Chuck Berry, Bo Diddley, and Bobby Rydell. Which is when the boo birds came out. The unnerved Nelson gamely tried one more song, got more boos, then promptly left the stage. In fact, he left the building and did not appear onstage for the finale. Back in California, Nelson holed up in his music room, and three weeks later came up with a song about his experience. 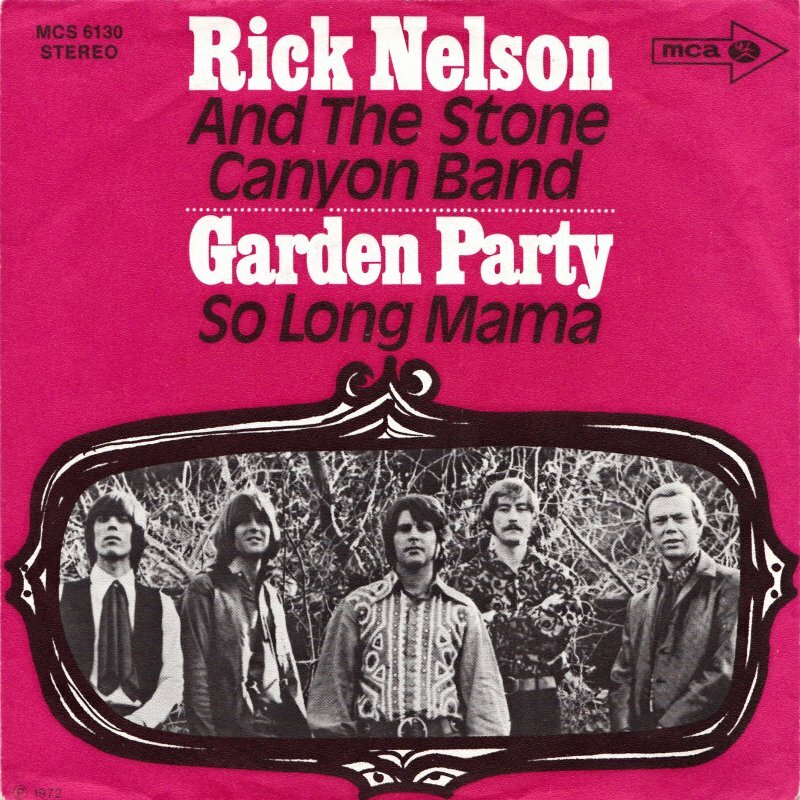 “Garden Party” appeared in 1972 and reached number six on Billboard’s list. It was Nelson’s last hit song. He died in a plane crash in 1985 at the age of 45. “Garden Party” tells the story of the concert in amusingly cryptic terms. Out in the audience, for example, “Yoko brought her walrus” (obviously John). And in the corner was a “Mr. Hughes,” the name used by Rick Nelson’s neighbor, George Harrison, whenever the quiet Beatle wanted to go out incognito. But mostly the song is about being willing to pay the price for your artistic vision. But if memories were all I sang, I’d rather drive a truck. You see you can’t please everyone, so you got to please yourself. My advice to writers (the ones who want to make a career out of this gig, at least) has always been to find that sweet spot where your love for the material meets commercial viability. Where your voice and vision lap onto the shores of reader expectation. Whip your story into a recognizable form, but fill it with the unique touches that can come only from you. And know that when you do, there will be naysayers and critics. That comes with the territory. But if you’ve truly pleased yourself, it’s all right now. What risks have you taken in your writing? How did it turn out? What did you learn from it? Chuck Berry left us a week ago at the age of 90. He didn’t begin his music career intending to be a rock ‘n’ roll…star? Icon? Immortal? No. Berry wanted to be a blues singer initially, and that genre would sneak onto his albums here and there (including, I understand, Chuck, an album of new material to be released in June). Rock ‘n’ roll, however, was what paid the bills, and that’s what he did, arguably better than anyone else before or since. Berry’s lyrics were amazing. He could put years and years of story into a three minute song, with three verses, chorus, and guitar solo. Badda bing bang boom. Go to Spotify (or better yet, your own music collection) and listen to what might be his most widely heard song (if not his most famous one), “You Never Can Tell,” which was prominently featured in the film Pulp Fiction. It’s about a teenage girl and boy who get married — probably too early — but with some hard work acquire an apartment with a “coolerator” full of tv dinners and ginger ale (described in a throwaway line that might be the best single pop song lyric ever written), a stereo with all sorts of 45s, and a flash car. They make a go of it against all odds, and Berry tells you everything you need to know about the whole shootin’ match in two minutes and forty-five seconds through a tune driven by Johnnie Johnson’s piano in the background. A somewhat tragic side note to the song is that Berry wrote the song while in prison. Berry also wrote and recorded his autobiography in three songs that you can listen to in just over seven minutes: “Johnny B. Goode,” the lesser known and bittersweet “Bye Bye Johnny” (which tells the story of his acquired stardom and fledgling motion picture career through the eyes of his mother, who drew out all her money from the bank to buy her son a guitar and put him on that Greyhound bus), and “Promised Land,” the mortar between the bricks of the two other songs. I don’t hang around bus stations (…) but I challenge you to go to one in any city and not hear “Promised Land” playing in your head. What we can learn from this? Keep in mind that Berry’s art had baked-in limitations. For one, songs had to be relatively short if the artist and record label expected to get them played on the radio. For another, the lyrics had to rhyme. A third was that the clock was ticking. You had to keep putting product out back then to keep your place in radio rotation because some young, hungry upstart was breathing down your neck, hoping to take your place. Berry just painted a picture and kept it simple, particularly in songs like “Carol,” where the singer begs the object of his affection not to go off with someone else, and assures her that he’ll learn to dance if he has to practice all night and day. Berry communicates need and desire in two lines. You and I can do this too. If you have an idea for a story or novel, try to write it from beginning to end in one page (single spaced, 12 font size), from beginning to end. Don’t include every character, car crash, or explosion that you conceptualize. Describe each of your main characters in a medium length sentence, set forth what they are chasing, or after, or trying to achieve — the MacGuffin of the work — and what they are going to do to reach their goal. When you wrap up, provide the ending in terms of emotion or result: happy, sad, death, life, win, lose, or draw. There’s your first step, your blueprint, your demo, what they refer to in Nashville as a “guitar/vocal.” You’re not going to be showing this to anyone so if you feel the need to drift off a bit go ahead and have at it but you’ll at least have something down. 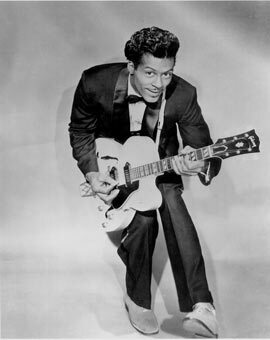 Think of Chuck Berry while you do it, and remember that all of those great tunes he recorded were the end result of hours and hours or writing, rehearsal and recording, some of it very frustrating. I’m hoping that at some point a boxed set of alternate takes of Berry’s best known songs is released so that we can get a look at some of the entire process. You’re starting in reverse of what Berry did — you’re going to take something short and make it longer — but the principle of keeping it simple is the same for both. If you don’t have a favorite Chuck Berry song, what is your favorite song otherwise?